Ground Source Heating is one of the most environmentally friendly options for domestic heating and hot water. 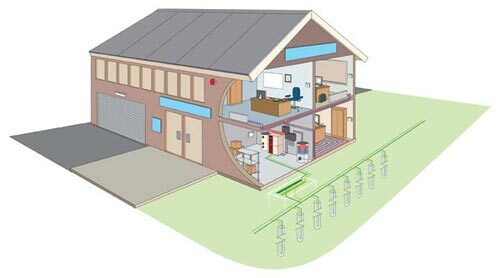 The heat pump is like a domestic boiler, situated in the house, with collectors buried in the earth. 10°C, regardless of the air temperature above - the earth is not affected by the weather. 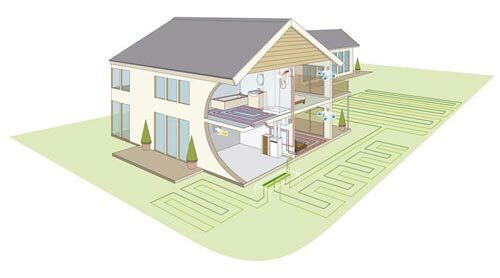 Ground Source Heat Pumps can draw as much as 75% of the energy needed by the heating system from the freely available, inexhaustible solar energy stored in the ground. Ground Source Heat Pumps extract the heat stored in the ground using pipework buried at a depth of approx 1.2m and spaced 0.75m apart. The land area required depends on the capacity of the heat pump and the soil type. Space-saving options are also available, using boreholes drilled up to 100m deep in the ground. 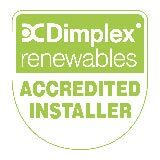 Baddow Eco Solutions are approved installers for the Dimplex Renewables. We can also supply and install Kensa and Valliant products.